The American Kennel Club (AKC) is a registry of purebred dog pedigrees in the United States. 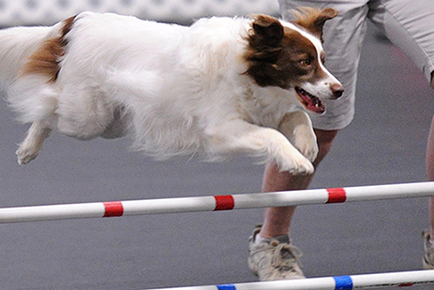 Beyond maintaining its pedigree registry, this kennel club also promotes and sanctions events for purebred dogs, including the Westminster Kennel Club Dog Show, an annual event which predates the official forming of the AKC, the National Dog Show, and the AKC/Eukanuba National Championship. Note: All forms on the AKC forms page may be downloaded and saved to your computer. All forms may also be filled in and printed from Adobe Reader (see link in About Us/Links for free Adobe Reader Software. When simple obedience classes aren’t enough and you are at your wits end but don’t want to get rid of your pet, we can help! The Australian Shepherd Club of America (ASCA®) was established as the parent club for the breed in 1957 and incorporated as a non-profit corporation. Increasing interest in competition led to the development of merit programs. Adobe PDF reader allows you to open, view, print and save a copy of a PDF file. Note: If a form file is fill in, you generaly can not save the completed file. United States Dog Agility Association, Inc. (USDAA), the world’s largest independent authority for the sport of dog agility, with more than 25,000 registered competitors and more than 200 different breeds of dogs, including mix breeds. USDAA represents more than 100 affiliated groups conducting more than 400 days of events each year throughout the continental United States, Puerto Rico, Canada, Mexico, Bermuda and Japan. To encourage and promote the sport of owner handling and training of purebred dogs. To encourage and promote sportsmanship among purebred dog fanciers and to communicate with and educate purebred dog fanciers.